In San Antonio, culture sings. We celebrate our rich heritage with vibrant parades, food-centric events, and lively, local entertainment. We collect medals to show off our San Antonio pride. What started in 1891 as a way to honor the heroes from the Battle of the Alamo has transformed into a way share in the fun of celebrating our city’s largest city-wide party with a purpose, Fiesta. This year, Fiesta San Antonio runs from April 18 – 28. Kick off the festivities with Fiesta Fiesta, an opening ceremony complete with locally-themed medal exchanges. Make plans to attend one of several spectacular parades including Battle of Flowers, Fiesta Flambeau, the largest night parade in the country, and the one-of-a-kind Texas Cavaliers River Parade. And, don’t forget your cascarones – colorful eggshells filled with confetti – for sharing (and breaking!) along the parade routes. For fun with food and drinks, don’t miss Oyster Bake, NIOSA (A Night in Old San Antonio), a Taste of New Orleans, and more. Explore distinctive culture with deep roots at events like A Day in Old Mexico & Charreada, the King William Fair and more. 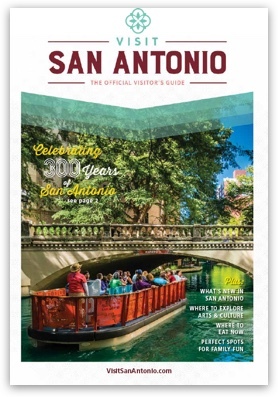 Start planning your Fiesta schedule with this year’s events, parades, and food / drink offerings by visiting the official Fiesta San Antonio website. What should guests wear to Fiesta? Fiesta is bright – and so is the clothing! Grab the most colorful items in your closet, your flower crown or “corona” and don’t forget a sash for your medal collection. We recommend comfortable shoes for all the walking and dancing you’ll be doing! Check out more Fiesta fashion. What’s with all the medals? As a long-standing tradition, people go on a mission to obtain and wear as many Fiesta medals as possible. You’ll see people wearing their weight in medals – fastened to sashes, jackets, hats and more. Get your own Fiesta medals at the Official Fiesta Store or at various events throughout the 11-day celebration! Purchase tickets at the gate of the events, or at the Official Fiesta Store. Don’t forget cash, as many events require you to purchase drink/food tickets once inside. What’s the best way to get here? Is there parking nearby? Grab the VIA Park and Ride to events like Oyster Bake, A Taste of New Orleans, NIOSA and the parades. Rideshare is also a good option to get to Fiesta events. Should you choose to drive, take cash, as most parking lots don’t accept credit card. Do Fiesta events take credit cards? Bring plenty of cash, since most Fiesta events are organized by local non-profit organizations, they sometimes will not accept credit cards.